The University of Surrey (UniS) is a research-focused University founded in 1967 with a mission that emphasises professional and applied research. It has strong research groups in engineering (especially space science and communications), environmental science (especially life cycle analysis) and the social sciences. In proportion to its size, it has the third greatest proportion of its income from research grants and contracts of all the British Universities. CNRS is the Centre national de la recherche scientifique, or the French National Center for Scientific Research. It is a publicly funded research organisation, under the authority of the French Ministry of Research. The CNRS is the largest governmental research organisation in France and the largest fundamental science agency in Europe. Research at CNRS covers all the major fields of scientific research, and is organised into 10 research institutes. eGov is a department of the CERSA (research laboratory of the CNRS), as well as a European think tank focusing on interdisciplinary research on the dynamics of governance in the digital era. It is the affiliated institution of Creative Commons in France, in charge of transposing Creative Commons licenses to better adapt them to the specificities of French law, and promoting the use of these licenses in the scientific and academic realm. 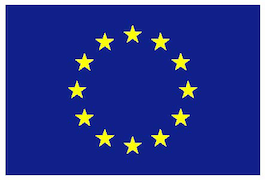 The group has also been part of the EC-funded COMMUNIA thematic network on the digital public domain from 2007 to 2011, as the institution in charge of providing policy guidelines for the preservation and the promotion of the public domain through the establishment of a positive agenda for the public domain in the digital era. It currently coordinates two projects funded by the Agence Nationale de la Recherche: ADAM (on the legal, technical and socio-economical analysis of Distributed Architectures and Multimedia Applications) and Legilocal (whose goal is to improve access to national legislation using Semantic Web technologies and Web 2.0). 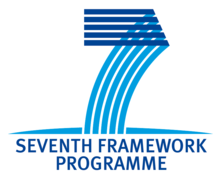 CNRS will lead the WP2: Analysis and modelling, that will perform an analysis tackling multiple dimensions (legal, economical, governance) to generate specifications for the P2Pvalue software platform. In addition, it will provide a set of policy recommendations to promote CBPP. The P2P Foundation (P2PF) is a non-profit organization and global network dedicated to advocacy and research of commons-oriented peer to peer (P2P) dynamics in society. We monitor the emergence of P2P dynamics in every field of human activity and document these projects on our open access wiki featuring over 30,000 articles and more than 2,000 users, plus reports and critiques of current events in our popular daily blog. The Commons Transition website combines a platform for policy proposals with a web magazine for commoners worldwide. Our research network, led by the P2P Lab, empirically explores and expands the theoretical work produced on commons-oriented peer production, governance and property to ascertain its viability in real-world applications. Our wider network consists of independent researchers and academics active in grassroots social movements and in public and private sector institutions, working for the transition to a P2P future. P2PF is leading WP5: Stakeholder Board participation + Dissemination + Exploitation, disseminating the P2Pvalue project results, communicating with relevant actors, and ensuring its exploitation. It performed a survey on CBPP experts (WP1) and currently is working on an empirical analysis of public-commons partnerships (WP2) and a report on reward systems and a data analysis on Teem (WP4). IGOPnet.cc is the area of Internet, politics and commons / social innovation of the Institute of government and public policies (IGOP) of the Autonomous University of Barcelona (UAB). The Autonomous University of Barcelona also known as UAB is a public university mostly located in Cerdanyola del Vallès, near the city of Barcelona in Catalonia, Spain. The UAB is a pioneering institution in terms of fostering research. The UAB is considered to be the best University in Spain by the 2012 QS World University Rankings. The Institute of Government and Public Policies (IGOP) is an interdisciplinary research institute. It draws together political scientists and sociologists, but also researchers coming from other disciplines within social sciences, such as geographers, economists, anthropologists, jurists and environmentalists. The IGOP has a remarkable record in projects of basic and applied research on government and public policies. Changes associated to the adoption of ICTs in public policy and the dynamic of interaction among political actors. Social movements (Global Justice Movement & Free culture movement; Indignados/15M mobilization). New areas of public policy, conflict and social mobilization: Regulation on ICTs and the conditions of access and reuse of information and knowledge. Social change: New digital generations (from youth digital cultures to active aging and ICTs). Emergence of the digital social economy, social innovation and common-based peer production. Commitment to rigour, innovation & open access. Multimethods. Methods triangulation combining qualitative and quantitative methods, experimenting with online/virtual methods, and action participation. Self-reflective: Put into practice the results of research and experiment with the organization of the research. Networking with frontier experiences in creating open knowledge. Collaborations with Wikimedia Foundation and Open Knowledge Foundation. Gender analysis incorporated transversally in the research. IGOPnet.cc other current projects: Partner european project CONFINE; Board member european project Digital Social Innovation; and Spanish National Program project Information, culture and knowledge: New citizens’ practices, new public policies. A case comparison of Spain and United States (Sinde Law versus SOPA Law); aamong others. institutes and more than 180 departments. UCM technological scientific infrastructure (with an annual budget exceeding 500M€), together with the quality of its researchers (more than 6000), has established some of its laboratories among the best all around Europe. The GRASIA research group, founded in 1998, has a strong experience in building free/libre/open source software (FLOSS) tools and distributed systems. The group has developed several FLOSS tools: for the fast development of distributed intelligent systems (http://ingenias.sf.net), meta-model editors (http://ingenme.sf.net), distributed energy (http://grasia.fdi.ucm.es/energy/) or ubiquitous computing (http://grasia.fdi.ucm.es/sociaal/). These tools are being applied in domains such as sustainable development (water resources management, regional strategies for disaster prevention), sociology (social relationship simulation), economics (double-auction markets), organisational science (work team formation), ambient assisted living (Parkinson’s disease), environmental science (ecosystem surveillance) and online communities. UCM will lead the WP3: Collaborative CBPP Platform where it will develop the P2Pvalue platform, integrating the best practices, value metrics and reward mechanisms to maximise productivity and sustainability of collaborative communities. The group has been involved in a large range of ICT research projects funded by the Spanish R&D Program, the Spanish Technology Transfer Program, Educational institutions, Private enterprises (Boeing, Telefonica), EU FP5 (PSI3, DEMOS, AGENTCITIES.NET), EU FP6 (MOMOCS), Eurescom (P815, MESSAGE) and EU Coordinated Actions (AGENTLINK II, AGENTLINK III). The Università degli Studi di Milano (UMIL) is one of Italy’s largest and most highly ranked universities. The Department of Social and Political Sciences is one of Italy’s larger Social Science departments and a major center of excellence for social science in Italy combining expertise in Labour Studies, Political Sociology and the Sociology of Culture and New Media. The department is within the top five in Italy in attracting research funding in the social sciences, both at the European and the National levels, and has significant experience in managing European Projects. The Centro Studi di Etnografia Digitale (Center for Digital Ethnography) is a collaboration between the Department of Social and Political Sciences and the Societing research network. The center operates both as a commercial research institution solving research tasks for major Italian and international companies (like Barilla, Chicco, Luis Vuitton and Goggle) and as an academic research center, cooperating with political scientists (on using Twitter to study political opinion and electoral behaviour) and consumer researchers (on using digital data to study consumer behaviour online). Officially instituted in 2011, the Center has attracted funding from the Regione Lombardia, and is partner to the Responsible Business in the Blogsphere project at the Copenhagen Business School. Together with the Department of Social and Political Sciences at the University of Milano, The Center for Digital Ethnography has launched two widely successful international summer schools (2011 and 2012), and is presently launching a Master in Digital Culture and Digital Methods. During its one and a half year of operation, the Center has developed consolidated methodologies for using digital data for social science research and has applied those methodologies in more than 20 commercial studies for companies and public bodies and three major academic studies: on the dynamics of voter sentiment in the Italian primary elections (In collaboration with the Department of Political and Social Sciences at the University of Milano), on the structure of publics for Corporate Social Responsibility initiatives (in collaboration with the Copenhagen Business School) and on the dynamics of value creation among online communities of mothers. Dimmons – Digital Commons Research Group. Internet Interdisciplinary Institute (IN3). Open University of Catalonia (UOC). The Open University of Catalonia (UOC) is the first online university, with a community of over 50,000 students. The Internet Interdisciplinary Institute (IN3) is a research centre of the UOC specializing in the study of the Internet and the effects of the interaction of digital technologies with human activity. The IN3 hosts a number of renowned research groups that develop a wide range of researchers of an interdisciplinary nature. Every year the centre hosts visiting professors and researchers; its researchers participate in doctoral programmes in Information Society and Knowledge and in Network and Information Technologies at the UOC. Commons economics: Emergence and implications of commons-based peer production, economic innovation, digital social economy, and the configuration of a new production model based on open knowledge. Commons politics: Political innovation in emerging areas of public policy, conflict and social mobilization associated to the regulation of commons economics, ICTs and the conditions of access and reuse of information and knowledge. Commons future: Governance dilemmas and potential commons scenarios linked to highly innovative frontiers opened up by technological development. Methodological pluralism through quantitative/qualitative multi-methods triangulation. Comparative perspective. Experimenting with online/virtual methods, design thinking and lean research. Action-participation. Research that informs technological or/and social process design. Prioritizing open access publications and multi-channel dissemination. Dimmons is a collaborator of IGOPnet at UOC, and is involved in the dissemination activities of the project and analysis of conditions that favor value creation in commons-based peer production.